Faculty:Less than 65 years with sound Health. Office Assistant:Less than 35 years & above 18 years of age with sound health. The contract amount shall be fixed at Rs.12000/- per month. No other allowance / benefit / payment / facility will be admissible. Selection procedure:The eligible candidates will be called for personal interview and the decision of the Society/Trust in this regard shall be final. About Bank:Established in 1911, Central Bank of India was the first Indian commercial bank which was wholly owned and managed by Indians. The establishment of the Bank was the ultimate realisation of the dream of Sir Sorabji Pochkhanawala, founder of the Bank. Sir Pherozesha Mehta was the first Chairman of a truly ‘Swadeshi Bank’. In fact, such was the extent of pride felt by Sir Sorabji Pochkhanawala that he proclaimed Central Bank of India as the ‘property of the nation and the country’s asset’. 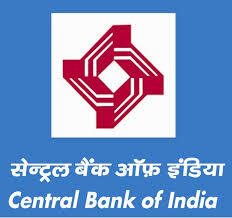 He also added that ‘Central Bank of India lives on people’s faith and regards itself as the people’s own bank’.